Our Poodle figurines are offered in a variety of colors and cuts. 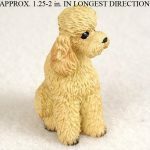 This listing is for our Poodle apricot figurine. The breed is presented in it’s laying down position. All four legs are resting flat on the ground and the head is turned to the side. 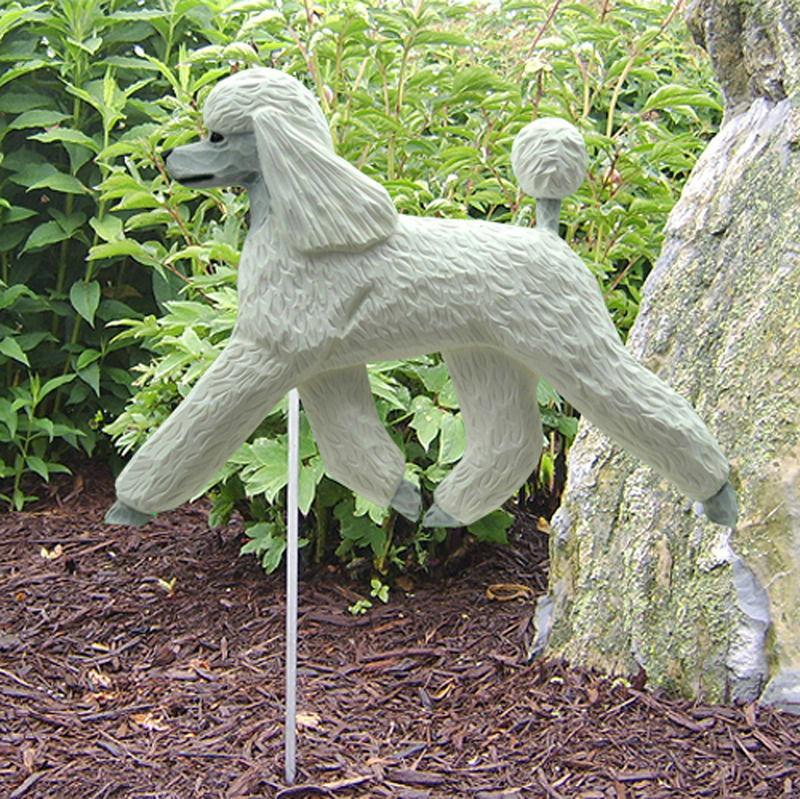 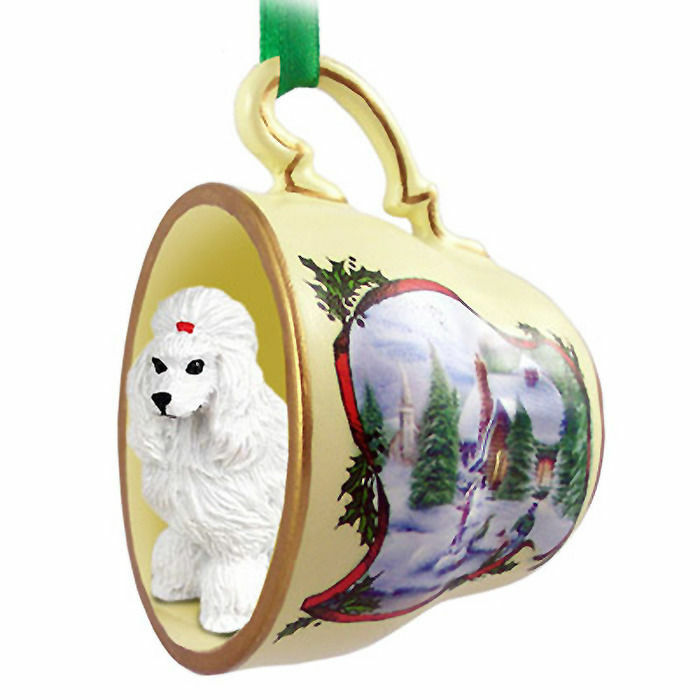 The positioning creates an elegant and intelligent appearance that the Poodle is well known for. 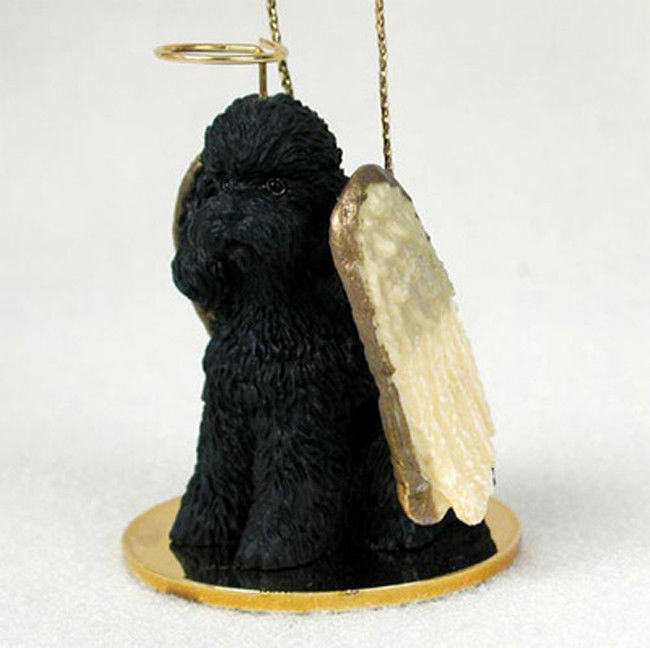 This figurine utilizes a medium coat that is thickest on the legs, head, ears, chest, tail, and stomach. 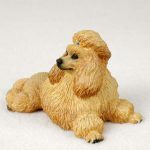 The entire figurine is apricot in color and has a blue bow at the top of the head to keep the hair on the head up.